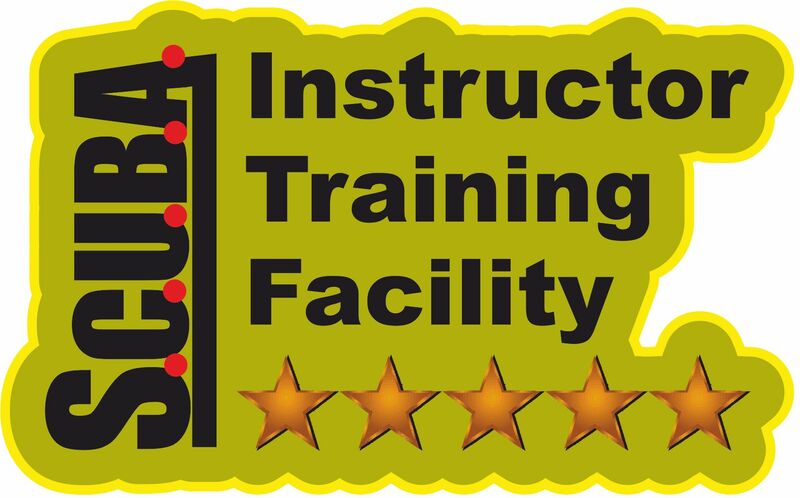 Certified Assistant Scuba Instructors (or other course assistants) can participate in modules that develop the candidate toward certification as Scuba Instructor. There are four modules of which the Systems & Standards module must be done first. The four modules can be done one at a time, or be combined is a single programme. After the Systems & Standards module, there is a module for Methods for Teaching Theory, a module for Methods for In-Water Training and a module for Knowledge and Skill Development. The first three modules deal with the methods of teaching and course administration, while the last module improves the instructor’s knowledge of the content of the courses they are allowed to teach. In a two day Instructor Exam, candidates demonstrate their understanding of the knowledge and skills learned in the four course modules, as well as the prerequisite training. The Systems & Standards and Methods for Teaching Theory modules can conveniently be completed in two days. For the Methods for In-Water Training a duration of two days would be possible, but it is more likely to take three days if transport to pool and/or other must be taken into account. The Knowledge & Skills module is a three day programme. Scuba Instructors teach Try Scuba Diving, Scuba Diver, Open Water Scuba Diver, (Basic) Advanced Scuba Diver, Scuba Safety & First Aid and initiations (provided they have experience in that field) in Nitrox, Boat Diving, Night Diving, Low Visibility Diving, Altitude Diving, Diving in Current and Dry Suit Diving. Instructors from other organizations can do an add-on course. Adding S.C.U.B.A. to their professional credentials gives them access to the most comprehensive online support for diving professionals in the industry. If the current certification is EN/ISO certified, instructors are not required to do the instructor examination, but they must pass the requirements of the add-on programme. Add on programmes consist of module 1 of the Scuba Instructor Training Course and a verification that skills and knowledge relating to module 2 and 3 are adequate. A shortened version of module 4 is also conducted. Depending on the level of participants, the programme takes 4 to 5 days. In order to prepare yourself you should consider to read the candidate workbook and download the instructor manual for reference on the SCUBA webpage. Until the end of September 2019 the Add-On programme (Cross-Over for instructors from other organisations) will be offered for the reduced price of 600 Euro. If you decide to use online materials, there is no additional cost for materials. If you prefer your materials on paper, you should add 206 Euro for an Instructor Kit. The price for the complete Instructor Course (9 day programme) is 1650 Euro.